Happy Days Lemon Dahlia. 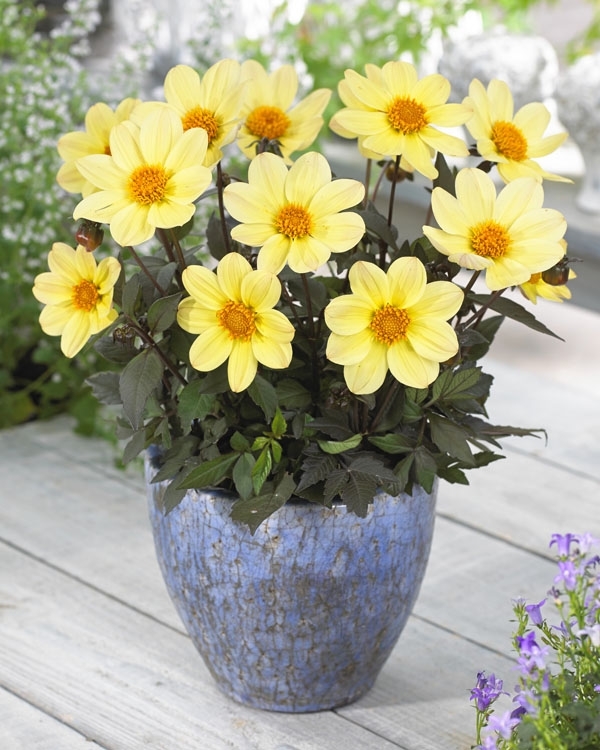 A dark-leaved, yellow on yellow beauty, Happy Days Lemon is a new variety but with an old fashioned clean yellow single type flower, simply enchanting. 1 clump/pkg.